So because I thought of this (brilliant) blog idea a couple of months after moving to New York, I have already done a lot of stuff that I want to share. So I decided to do a couple “Flashback Fridays” to share stuff that I did when I first moved here. Because I am a complete loser, when I first moved here I googled “how to make friends in New York City” and the app Fever came up. This app is great for finding cool events around the city and will even have exclusive Fever deals for events. On this app was a listing for the Central Park Film Festival‘s screening of the classic 1980s film Fame. The film festival was probably one of the most fun things I’ve done in the city. It’s free, just bring a blanket or some chairs, maybe even a nice picnic and some wine (every occasion is good with wine). The best part about seeing a well-known musical film like Fame is that the audience was very interactive throughout the movie. Some of the audience was even made up of the reunion of the class of 1980 from the New York High School of Performing Arts. The finale of the movie sparked an impromptu sing-a-long with audience members on their feet singing and dancing along. I love free events like this in the city and I can’t wait to go back next summer for more movies in the park. 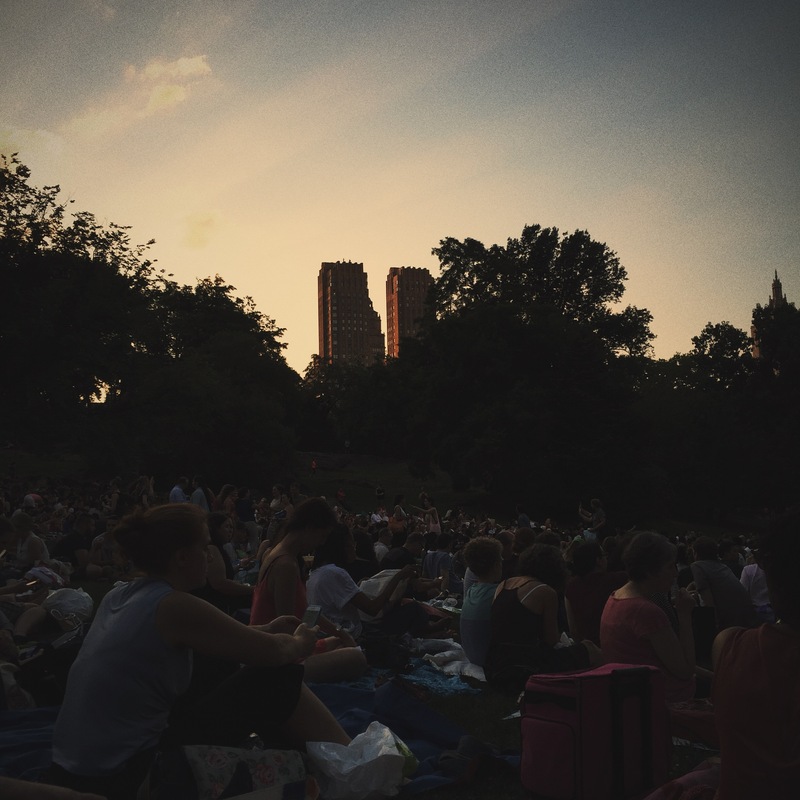 What movie would you want to see in Central Park?